We target sheepshead year around here in Myrtle Beach. 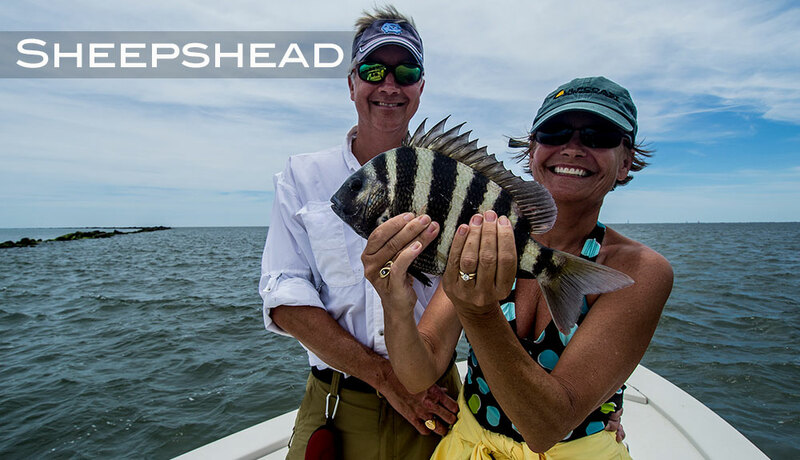 In the Winter months, sheepshead can be caught off the artificial reefs in 35-60ft. Sheepshead will remain offshore before moving back in the bays and estuaries when water temps begin to reach the 60 degree mark. Sheepshead associate with any type of structure, docks, piers, rocks piles, and oyster reefs and they are lot of fun to catch using ultra light tackle. Bait of choice when fishing for sheepshead are fiddler crabs or small shrimp.